Exploring the Caribbean nature of St. Lucia; walking in tropical orchid gardens, relaxing on white beaches in the shade of palm trees and enjoying the island's specialities: an unmissable excursion! We leave the cruise terminal and we proceed in the direction of the Great House Caribbean Estate, where we can admire some of the most stunning panoramic views of St. Lucia. We can explore the whole estate which covers more than 1 acre and which has been transformed into a lush garden with a wide variety of plant species ranging from tropical rain forest plants to maquis shrub interspersed with cacti. As we walk around the gardens we stop in the various patios and gazebos which are privileged vista points from where we can really appreciate the beauty of the scenery. There are several trails going through the Great House Estate with varying levels of difficulty that are all worth exploring. 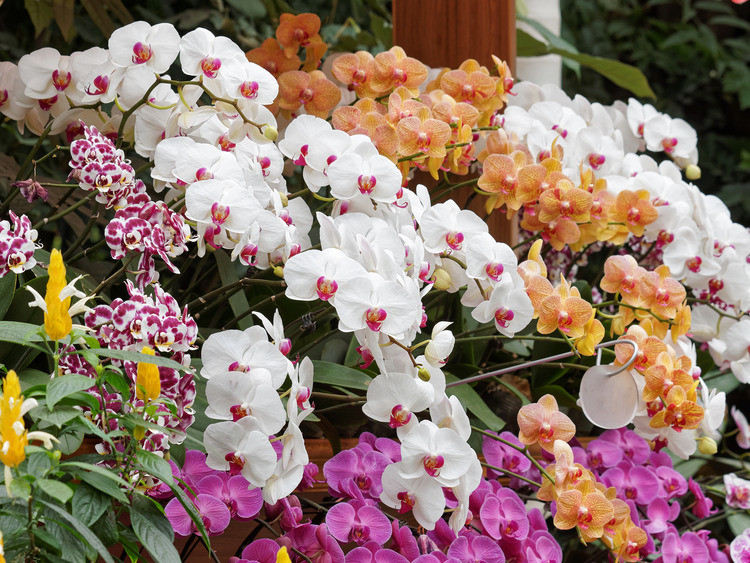 There is also a charming orchid garden where we can admire a wide variety of these wonderful flowers. After a relaxing walk in the gardens there is nothing more refreshing than the freshly squeezed juice of the local fruit in season, accompanied by various home-made cakes and other typical island delicacies. After about an hour in the gardens we proceed towards Pigeon Island National Park with its beautiful beach, which we saw earlier from the gardens of the Great House. Despite its name, Pigeon Island is not an island but a small peninsula (of about 16 acres) jutting out into the sea from the north-western coast of St. Lucia. Once a pirate hideout and a Carib settlement, it is now possible to see the ruins and remains of ancient battles. In this magnificent setting we have about 90 minutes to enjoy all the beauty of Pigeon Island and its beach before returning to the ship. We can relax in total abandon in the shade of a palm tree, sunbathe on a lounger, explore the ruins of the island, visit the museum, go for a swim or just chill. This excursion does not include a guide. The driver will provide information in English. We recommend that you book early because only a limited number of places are available. Do not forget to bring swimwear, a towel and sun cream.